Goodrich Bed and Breakfasts. Compare latest rates and Live availability for all your favourite places and places you have always wanted to go using our new My Shortlist feature. Click + to add to your Shortlist. Bed and Breakfasts in Goodrich, Herefordshire for 1 night from Sat Apr 20, 2019 to Sun Apr 21, 2019 within 10 miles, in an Average Nightly price range of £1 to £200. Located in the market town of Coleford, the Angel Hotel is a 16th century coaching inn with its own restaurant and bar. Free WiFi is available throughout the property. The Angel Hotel features 9 individually designed bedrooms. All rooms have been fitted with en-suite bathrooms, flat-screen TVs, hairdryers and tea/coffee making facilities. The restaurant offers breakfast, lunch and dinner, and uses local produce where possible. Guests can relax at the bar, which offers wine, local beers and cocktails. The property is just 9.4 miles from the River Severn and the Wye Valley Area of Outstanding Natural Beauty is 8.5 miles away. The Brecon Beacons National Park is located 26.1 miles away and guests can also drive 30.8 miles to Bristol. Situated in the beautiful unspoilt Royal Forest of Dean this modern hotel boasts a restaurant bar beauty treatment rooms and its own golf course. The site offers free WiFi throughout fantastic conference and meeting facilities and a large free car park. Situated in the market town of Coleford Gloucestershire Bells is conveniently located just 19 miles away from the centre of Gloucester 7 miles from Monmouth and 14 miles from the Chepstow end of the Old Severn Bridge (M48). In addition to its on site golf course (where as a guest you can play at a discounted rate) and bowling green the hotel offers access to a wide range of activities based around the local area of outstanding natural beauty. We are also delighted to be able to offer footgolf to our guests. In the centre of Monmouth Farrington s Restaurant and B and B offers four comfortable en suite rooms in addition to an AA 2Rosette-winning restaurant. We are a short walk from the River Wye. br / br / There is a public pay and display car park right behind our building. Charges apply from Mon-Sat 9am-5pm. For directions on your Sat Nav use Glendower Street Car Park or NP25 3XP. This is the postcode for the Blake Theatre that is on the other side of the car park. br / br / br / br / Each of our rooms has en suite bathroom facilities with bath and shower and complementary toiletries. The rooms hairdryer flat-screen TV with Freeview and in-built DVD player tea and coffee facilities. Iron and ironing board is available on request. br / br / Full English breakfast is cooked to order. Cereals granola fresh fruit yoghurt and fruit juices are also being provided. The restaurant serves modern British/European style dishes along with regional specialities such as Welsh lamb and beef using as much local produce as possible. Packed lunches can be offered for walkers. The property features storage facilities for bikes and can help organize transport for luggage. Just over the Wales/England border Monmouth is less than 2 miles from the Forest of Dean and 11 miles from Ross-on-Wye. The picturesque Offa s Dyke Path walking trail passes through Monmouth. The Brecon Beacons National Park is less than 25 minutes drive away. br / br / br / br / We are located between the Savoy and the Blake Theatre that offers an amazing program. Pre- and post-theatre/cinema bookings are taken in the restaurant and we are the ideal place to stay at after your show. 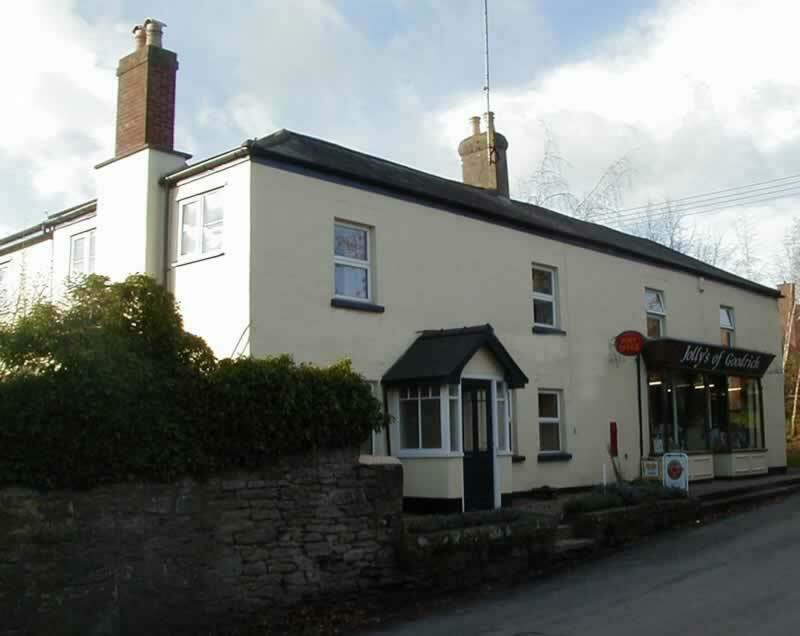 Featuring free WiFi throughout the bed and breakfast, Garway Moon Inn is a family-run 18th century free house in Garway, 13.7 miles from Hereford, 7.6 miles from Monmouth and 10 miles from Ross-on-Wye. The bed and breakfast has a children's playground and overlooks the beautiful Garway Common. Guests can also enjoy a meal at the restaurant. The M50 motorway is a 10-minute drive away. Rooms include a flat-screen TV with DVD player and a complimentary drinks tray. The rooms are also equipped with a private bathroom equipped with a bath. Extras include free toiletries and a hair dryer. The on-site restaurant serves a British pub and grill menu inspired by local growers and farmers. There is an award-winning dinner menu. You can engage in various activities, such as circular walking trails, Three Castles Walk, Symonds Yat, fishing and quad trekking. Gloucester is 37 km from Garway Moon Inn, while Newport is 38 km from the property. The ancient Knights Templar Church is a 10-minute walk away.